Today in 1982, Ozzy Osbourne gets a rabies shot after biting off the head of a live bat, thinking it was one of the rubber ones he used in his act. Ironic, that for the past week I’ve been listening to Black Sabbath and I find out that today is the result of an iconic moment in rock history. 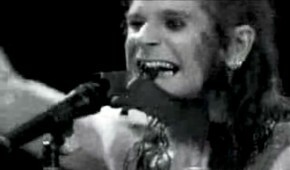 In the spirit of this day, I felt that it was appropriate to share some of Ozzy’s greatest so we can all appreciate his contributions to rock and roll, and maybe even bite off a few heads of our own. Stream Fall Out Boy's New Album, "Save Rock and Roll"